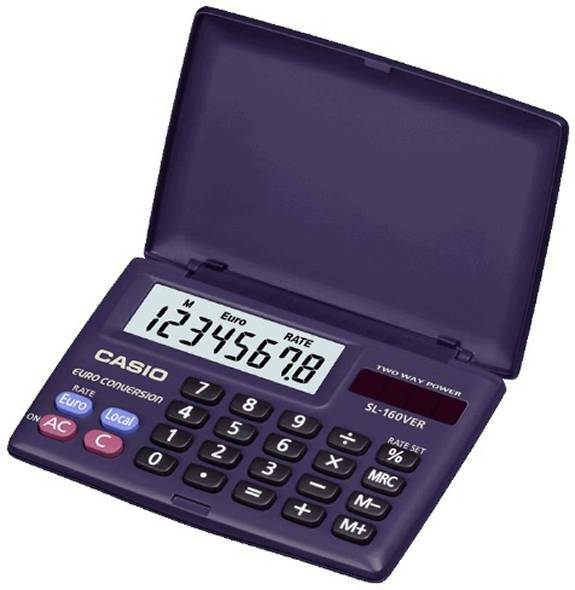 Pocket calculator with compact design. Clamshell case. 8 Digit display. Euro/currency conversion. 3 memory keys. Battery and sunlight operated. Dimensions (WxDxH): 87x58x10mm.